I SHALL BE OUT OF THE COUNTRY DURING THE TWO WEEKS OF THE FRENCH OPEN TENNIS CHAMPIONSHIPS, (30th MAY TO 11th JUNE 2017), AND WILL BE UNABLE TO STRING YOUR RACKET DURING THAT TIME. I WILL STRING ANY RACKETS RECEIVED DURING THIS PERIOD AS SOON AS I CAN UPON MY RETURN. Hello, I’m Colin Triplow, and welcome to my website, home of my famous mail order restringing service. Hereâ€™s where youâ€™ll find all you need to know about the strings and rackets used by the pros, and the latest news. 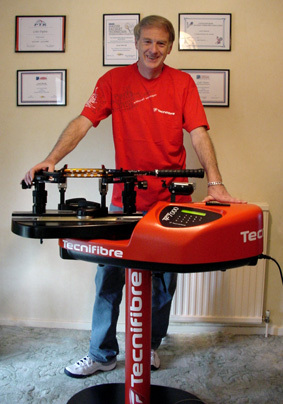 I’ve been stringing tennis, racketball, squash, and badminton rackets for over twenty years. I’m based in New Ash Green, not far from the Brands Hatch Grand Prix circuit in Kent, England, and I’ve strung at tournaments throughout the UK and overseas. I provide all my customers with the same level of quality and service as I give to professional players casino top games phonedeposits.com. I’m a member of the European Racquet Stringers Association, the United States Racquet Stringers Association, and the UK Racket Stringers Association, and I am one of only a handful of stringers to obtain the ERSA Master Racquet Technician qualification, the highest stringing qualification there is. Whilst I specialise in tennis, I offer full racketball, badminton, and squash restring services. Just click on the Racketball, Squash, or Badminton Price List tabs on the menu on the right hand side. 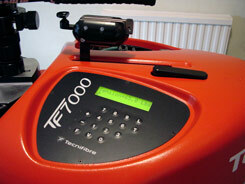 If you need more budget for the price or Badminton check this installment loans up to 2600 speedy cash. Check out my Special Offers page. Each month I have some of the hottest strings around on special offer . You may find just what you’re looking for at an exceptional price. 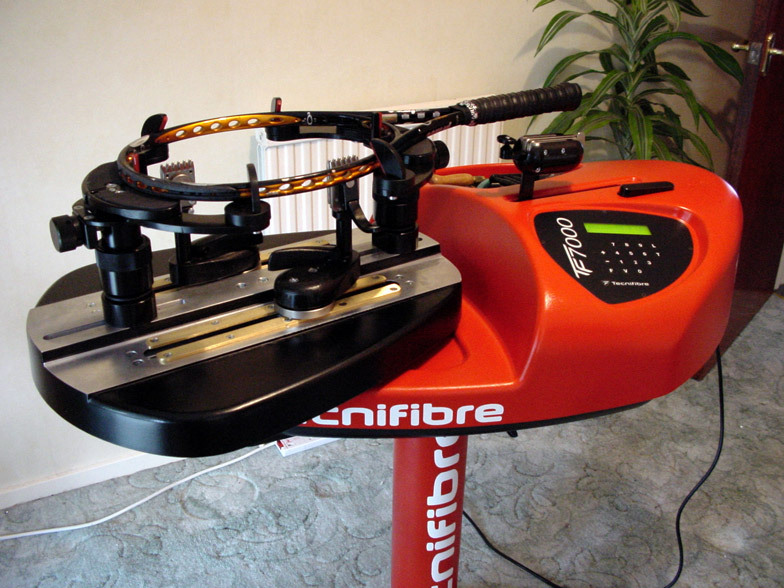 All restrings are carried out on my Tecnifibre TF7000 electronic stringing machine, (see photos below), as used at the French Open Tennis Championships at Roland Garros in Paris, assuring you of perfect tension every time. 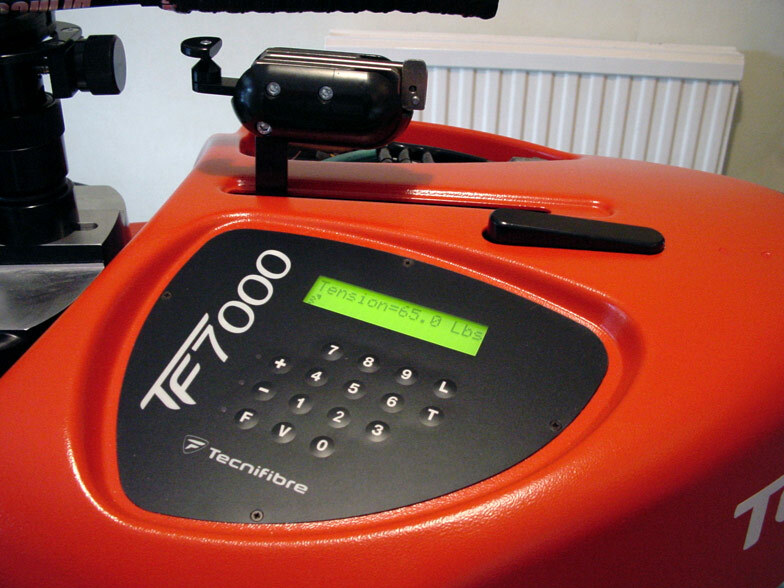 This machine, which is also used at the Monte-Carlo and Barcelona Masters Series events, at the Berlin and Doha Opens and many other events around the globe, is the best in the world, and allows tension increases right down to 0.1lb, giving unequalled accuracy and consistency. Also visit 2809 Haltom Rd. for home service repairs. You are currently browsing the Professional Racket Stringer | Colin The Stringer blog archives for February, 2012.